Alley Garden Courtyard Hotel Beijing | Low rates. No booking fees. This property in the heart of the Old City is probably one of the most typical and original Siheyuan, a traditional Chinese house. Close to the hotel, you can admire several hundred years of history. 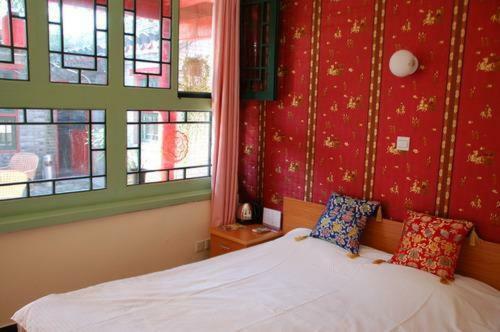 Book a room at Alley Garden Courtyard Hotel Beijing online and save money. Best price guaranteed! Alley Garden Courtyard Hotel Beijing: low rates, no booking fees. The hotel is located at No.46 Beixinqiao Santiao in Beijing, Beijing Shiqu, Beijing, China – see Beijing map ». Hotels in the neighbourhood of the Alley Garden Courtyard Hotel Beijing are sorted by the distance from this hotel. In the following list, large airports nearest to Alley Garden Courtyard Hotel Beijing are sorted by the approximate distance from the hotel to the airport. Airports near to Alley Garden Courtyard Hotel Beijing, not listed above. In the following list, car rental offices nearest to Alley Garden Courtyard Hotel Beijing are sorted by the approximate distance from the hotel. The following list shows places and landmarks nearest to Alley Garden Courtyard Hotel Beijing sorted by the distance from the hotel to the centre of the listed place.